Okay...so I know this isn't a sangria recipe...but have you ever had a wine slush? OMG it is like the best thing ever. So my northern friends, save this recipe for the summer. My fellow southerners, you can break this baby out today, because it is gor-geous out! 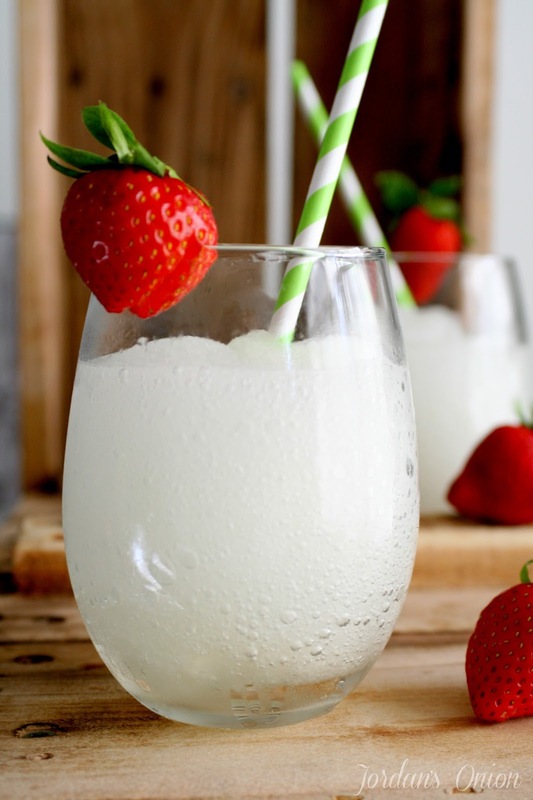 Pour ice and moscato into a blender. Blend on high speed for about 30 seconds. Pour into your serving glass and garnish with a strawberry. **This also works deliciously well with any fruit wine. Add some raw sugar to the rim for an added touch. Nom nom!